More than 35 million Americans suffer from Hashimoto’s—the country’s fastest-growing autoimmune disease, which affects the thyroid gland and causes the body to attack its own cells. Symptoms can include weight gain, fatigue, hair loss, persistent pain, chronic cough, acid reflux, irritable bowel syndrome, allergies, and brain fog. And many individuals who suffer the symptoms of this debilitating disease may not even be aware that they have it. 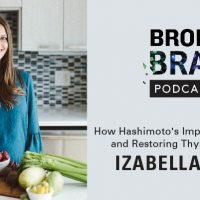 On today’s Broken Brain Podcast, our host, Dhru, talks to Izabella Wentz, PharmD, FASCP, an internationally acclaimed thyroid specialist and licensed pharmacist who has dedicated her career to addressing the root causes of autoimmune thyroid disease after being diagnosed with Hashimoto’s thyroiditis in 2009. 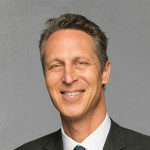 Dr. Wentz is the author of two New York Times best selling books Hashimoto’s Thyroiditis: Lifestyle Interventions for Finding and Treating the Root Cause and Hashimoto’s Protocol: A 90-Day Plan for Reversing Thyroid Symptoms and Getting Your Life Back. She recently released her third book, Hashimoto’s Food Pharmacology. In this episode, Dhru and Izabella talk about the standard care of treating Hashimoto’s versus her approach of treating the root cause, as well as the importance of proper testing for an accurate diagnosis. They discuss what nutrients are required for thyroid function and what foods are especially beneficial to those with Hashimoto’s. They also talk about creating healthy habits to help revitalize the immune system and the importance of community in the process of healing. PS – For more on Dr. Izabella Wentz, be sure to follow her on Instagram @izabellawentzpharmd, and on Facebook @thyroidlifestyle. Check out her website https://thyroidpharmacist.com. You can find her books, Hashimoto’s Thyroiditis: Lifestyle Interventions for Finding and Treating the Root Cause, Hashimoto’s Protocol: A 90-Day Plan for Reversing Thyroid Symptoms and Getting Your Life Back, and her newly released book, Hashimoto’s Food Pharmacology: Nutrition Protocols and Healing Recipes to Take Charge of Your Thyroid Health, right here.